Juno Web Design has been working closely with client- Natura Skin Clinic. Dr Carlos Xavier approached us and the Juno team set about creating a brand new site from scratch. Juno Web Design used WordPress to enable the quick addition and simple management of content. We have also added localised pages to enable the site to rank well in search engines. It also highlights to users in the area, that Natura Skin Clinic is a local, affordable and totally professional clinic, that offers a range of treatments to help improve peoples looks and confidence. 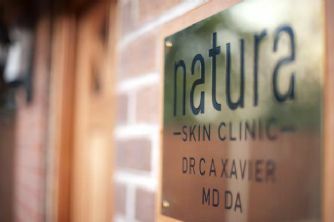 Dr. Carlos Xavier, and established local GP, set up Natura Skin Clinic after identifying a common problem among patients. “Lots of my patients came to me unhappy with their appearance or with dermatological problems, and complaining of low self-esteem. They were considering plastic surgery but I felt this rather extreme as non-surgical alternatives achieve similar results.” Dr. Xavier believes Natura is the only Cheshire clinic guaranteeing that all treatments are undertaken by medical GPs. A free skin evaluation is provided first by a doctor, who will then make treatment recommendations. medical safety. Patients enter feeling cared for, and leave feeling happier and looking younger”. The fresh new look to the site offers customers a view into the treatments and real life customer testimonials. We believe this approach to cosmetic treatments is a subtle and professional way of providing the type of information customers require when researching treatments.